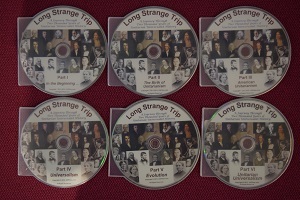 DVDs detailing the history of Unitarian and Universalist thought from the beginning of the Christian era to what we know today as Unitarian Universalism. DVDs detailing the history of Unitarian and Universalist thought from the beginning of the Christian era to what we know today as Unitarian Universalism. Each film is approximately one hour in length and is Close-captioned. For the diiscussion guides from the UUA's Faith Development Office click here.